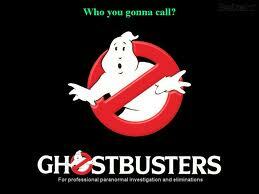 My Take on it – WHO YA GONNA CALL???? I remember when this came out in 1985. I was only 10, but I recall all the hoopla surrounding this movie. My friends and I all wanted to be Ghostbusters and we sung the theme song all the time. This movie is written very well by Dan Aykroyd, Harold Ramis and Rick Moranis (who all have starring roles). The main character of Venkman was written with John Belushi in mind, but when he unexpectedly died of a drug overdose, Bill Murray was given the role. I think this is Murray’s best role besides Groundhog Day (1993). Eddie Murphy was originally suppose to play Winston and John Candy was to play Louis, but both dropped out when they felt that the producers and director weren’t listening to their ideas. Sigourney Weaver, Annie Potts, William Atherton and Ernie Hudson also have supporting roles. Classic comedy movie that was the top comedy at the box office until Home Alone (1990) came out. Bottom Line – Great fun movie! Has the right mix of sci-fi, humor, horror and drama. Highly recommended!